It’s summer and my TV is mostly off (well, besides Monday nights) and I’ve been doing some reading! Someone remind me why I don’t do this year round? I love to read and have just finished 2 spectacular books I wanted to share with you in case you are looking for a good read. 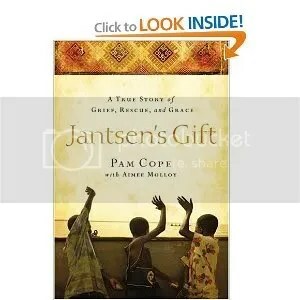 Jantsen’s Gift was given to me by my good friend Garen and I started and finished it this weekend. It’s an amazing story of a woman from Missouri & the grief she suffered from the loss of her son but of what God did through that loss. I cried through the whole thing. She has 3 adopted kiddos and her non profit does lots of work in Africa & Taiwan. It was a good reminder that we don’t have to be rich, famous, super smart or whatever you will insert here to do the Lords work. We just have to be willing and trust that God can and will use us. It was very very inspiring to me! The way she lives her life is how I want to live mine! A GREAT read! 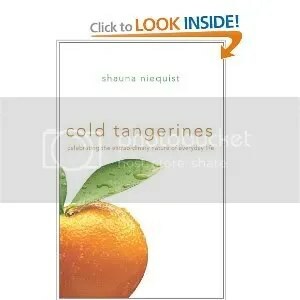 The other book I just finished was cold tangerines. I loved it too! Cried through most of it. The author is a 30 something who instead of looking at the world and how corrupt and bad it is, decided to put a collection of her own life stories together that helps her look at the world in a new light. I could relate to her on so many levels and I loved reading her raw writing. Every chapter is a different chapter in her life and it made me want to write down my stories to have one day. It was a fun, easy, beautiful read! I highly recommend it! Wynne, I LOVED Cold Tangerines and just finished it. I haven’t read her next book, “Bittersweet,” but I’d like to soon. She also has a blog that’s fun to read on her website. Thanks Wynne! I have found myself reading more this last month too. I will check these out! My last good read was Heaven is Real and I am reading Choosing to See right now. I am excited to check these out too. I have been on a major “classics” reading kick. A Tree Grows in Brooklyn and Jane Eyre took my breath away!